What astronomers may describe as an exciting sighting, some may find frightening, as a huge and heavy alien body will come comparatively close to Earth in the early hours of 6 February. Dubbed by NASA Asteroid 2013 RV9, the minor planet is expected to swing by Earth at 6.30am GMT (UTC) on Wednesday. The distance between the asteroid and Earth will constitute around 6,842,740 km, which is a closer proximity than during the last six times it passed by the planet in the last decade. 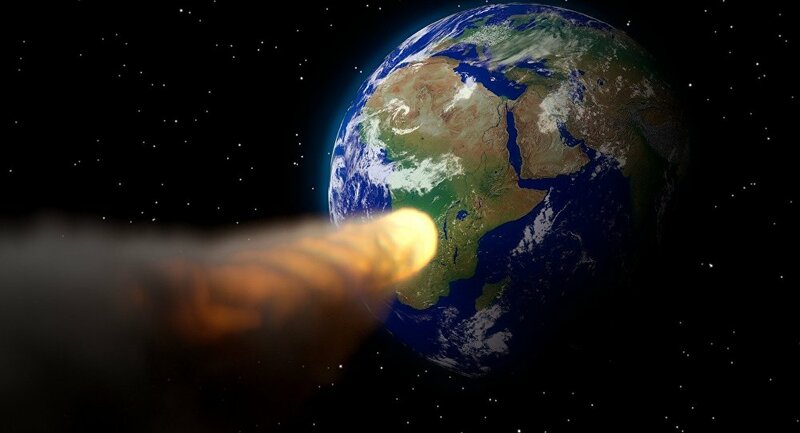 To understand how cosy the asteroid will get with Earth, in 2003 and 2004, the distance between the two constituted 54,204,692 km and 57,613,556 km. The last time RV9 flew by Earth — in August 2018, it came as close as 34,709,372 km. The size of RV9 is estimated somewhere in the range of 167.3ft to 360.9ft (51m to 110m) in diameter. The upper range of the asteroid's size is taller than the Statue of Liberty (93m). It would also fit it more than five Great Sphinx of Giza pyramids (20m). NASA has identified RV9 as a Near-Earth Object (NEO), which includes "comets and asteroids that have been nudged by the gravitational attraction of nearby planets into orbits that allow them to enter the Earth's neighbourhood." "Because of the ongoing search efforts to find nearly all the large NEOs, objects will occasionally be found to be on very close Earth approaching trajectories. Great care must then be taken to verify any Earth collision predictions that are made. Given the extremely unlikely nature of such a collision, almost all of these predictions will turn out to be false alarms. However, if an object is verified to be on an Earth colliding trajectory, it seems likely that this collision possibility will be known several years prior to the actual event. Given several years warning time, existing technology could be used to deflect the threatening object away from Earth," explained NASA. Big Ben-sized RV9 will next be sighted close to Earth in 2022, 2023 and 2024 and a number of other times during this century.